so what are us serfs going to do now? Todd Parr wrote: During the beginnings of the industrial revolution, people were convinced that humans would all lose their jobs to machines. It's no different now. I'd say it's different in that the only thing that makes humans "special" right now, and in their past, is their ability to think at a level not seen in other animals. Once a machine/computer that can think is created, enhanced, and then perfected over maybe the next hundred years or so (probably less), there will be nothing special a human can do except maybe have emotions. Emotions tend to hinder man more than help him from what I've seen. All I know is that my phone/the internet is about a zillion times smarter than any single human. It didn't take that long to go from machines having zero intelligence to all machines with internet connections being the most intelligent thing on the planet. Currently all of that information those machines connected to the internet know isn't really able to be processed into thoughts/actions. Right now it's just useless information that can't be utilized. Once/if they figure out how to get it to think for itself, man is obsolete in so far as trying to keep up in a work force competing against it. Machines will repair machines, machines will invent more efficient methods of production, machines will work for free, machines will work without breaks or lunches or health care...............Machines/computers will rule the world. Machines/computers are the next step in evolution. Hopefully they're kind to us for spawning their kind. Pill bug pressure is way down (at least as far as seedlings are concerned), but there are still an army of them in the ground. Results so far are very good. Lot's of good growth. Peas are 4-5' tall since planted, and survived several 15f degree nights unprotected against south facing wall of heated house. Some of the peas were turning bright yellow, but now have come back are a nice green colour. 200 heads of garlic growing well except for a few duds. Not necessarily the best tips, but I just thought of them yesterday while working in the yard and I don't think I've seen them mentioned before. This one seems obvious. I have a lot of concrete remesh panels in various sizes laying around. (It's the metal grid stuff they put in before they pour concrete to strengthen/hold the concrete together) The steel grid is about 6 1/4" square, so it makes a good quick grid to put on the ground if you're trying to space out seeds/starts in a square foot style garden. The panels can be cut to the size needed (for example 2' X 4' to make it manageable, or a bunch of different sizes for different areas) then after everything is planted out, the panels can be used as small trellises for some of the plants. I also am putting in a bunch more drip irrigation and had the idea of instead of paying for the pre-made staples to hold the main lines down to make my own using acoustic ceiling wire. (This is the wire that drop ceilings use to suspend the grid that holds the ceiling tiles and light fixtures up.) I used to have access to tons of free 10' sections of the wire, but this time I had to buy a 100' roll for $7 at Home Depot (I'm guessing if I went to an electrical distributor it might have been cheaper). I figure about 150 staples can be made from 100' by simply bending the wire, and using some lineman's pliers to cut it. It's softer metal than what's commercially available, but I'm guessing it will work just fine, and be cheaper than what they want for it pre-made. Ideally the wire could be had for free at a construction site, especially if they were remodeling or removing an existing building. Any Good Trail Mapping Apps? I am not familiar with those other mapping apps mentioned, but they sound equal to or better than the one I use to track my outdoor activities. It's called strava.com, and it's mainly a fitness tracking app. It creates a gps map of your movements, it will create "segments" of your choosing of any size that can be specifically named, pictures taken during the outing can be manually uploaded to the site, and they'll show up on the map. It gives detailed elevation, distance, time, and speed readings. It's FREE! You can make all of your activities private so only you can see your activities/segments. You can download your gpx files. Probably even more can be done with it, but that's mainly what I use. It's super easy to use. Any kind of gps that's capable of uploading a file (I've only ever used my cell phone) will work with it I believe. Not sure if it's what you're looking for though. Too much free time project gate. I have a bunch of mismatched "artsy" iron gates in the yard. I came up with the idea for this one after making a small metal mountain biker (copying the idea from the "End of the Trail" art). I didn't know what to do with the bike after I made it so it just sat in my garage for a while until I came up with the idea of a southern Utah tribute style gate, all the characters sort of in the "End of the Trail" posture with spear. Just for fun, and it was all scrap metal. I'd have left it unpainted to rust, but most of the metal was already painted different colours and or rusting already so it looked funky. I'm a believer that luck/location will have more to do with a catastrophic world collapse survival situation. Something like rapid climate change, meteor impact, nuclear war, zombies?, etc. obviously, given the same general location, the most prepared would most likely do better than the less prepared. Those scenarios seem unlikely to me, and seem more like a place where the people who died outright might have been the "lucky" ones. The survivors of those scenarios probably won't be enjoying life much, and happily homesteading. IN MY OPINION. The most realistic reason I could think to want to prepare for a change in lifestyle (by no means "apocalyptic") is the oncoming of automation/a.i. Artificial intelligence will displace millions of people from paying jobs, and those people will need a way to survive in a simpler less $$$ driven world. Learning to coexist with the land, and have tight knit communities with common goals makes sense in that kind of scenario. Maybe permaculture will play a large part in how these people are able to cope with that change. Or something like that. You get the gist of what I'm trying to say. I'm very new to fruit trees, only about three years experience total in trying to grow them here. Zone 8a. Southern Utah (border of AZ/NV/northern edge of Mojave Desert) Low humidity during most of the summer (low teens to single digits percentage wise) although we do get some monsoonal rains/moisture for a few weeks of the summer. I believe it's an average of 8" or 9" of rain on average for the entire year. 105f +/- a few degrees for three months of the summer. I planted about thirty fruit and nut tree two years ago. Half of them have died (probably due more to neglect/ignorance than their hardiness here) the other half are hanging on. One is thriving though, and it's basically been in the same conditions as all the others. It's very dense red clay, high alkalinity soil. I'm doing the deep mulch/wood chips method, and they were close to 2' deep when initially laid out around all the trees. I planted one two years ago, and it is thriving. Dozens of fruit the first year (the tree was about four feet tall when it was originally planted and grew to about 8' tall by the end of the first year), and at least 100 fruits this last year (with a lot of outward, and upward growth again). The tree's trunk is bigger by far than any of the other fruit or nut trees I planted at the exact same time. No pests I've seen on it, and it just looks happy growing here. It does get watered regularly by my irrigation, though. I like the fruit both when it's apple like (tastes like a mediocre sweet apple to me), and it's even better when left to dry on the tree (sponge cake like/date like). My dogs enjoy eating them either way, and so do the chickens. "The Jujube originated in China and its fruits are often referred to as Chinese Dates. It withstands wide ranging temperatures; from over 100° F in summertime to -28° F during winter dormancy. Require minimal chill and plentiful summer sun and heat to set fruit. A small, deciduous tree, growing 20-40 feet, it is well protected from late spring frosts by delayed budding. Prefer sandy, well-drained soils and while tolerating many soil types, do less well in heavy, poorly drained soil. 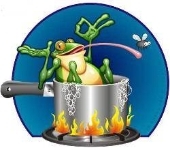 Drought tolerant, but better crop with regular water. Winter prune to maintain plant health. Few pest problems. Immature fruit is green and ripens to yellow-green with mahogany-colored spots and becomes red, softening and wrinkling when fully ripe. Most prefer eating before fully ripe. High in Vitamin C. Please note that Jujube trees have thorns. Suggested plant spacing is 10 feet apart. I'd also ad that grapes grow like weeds here (although I'm having a hard time to get them to fruit which again is I believe to be more my fault than anything). I'm growing Concord, and a common red (can't remember the name......bought at walmart as a bare root so it's got to be super common.)" Also, I'm surrounded by neighbors with well established pomegranates and their tree's/bushes are loaded with fruit every year. They almost grow wild (very few of my neighbors seem to prune, water, or pick the fruit off the trees, it's a shame, but again, they're thriving here). One more that I've seen grow well on other people's property around me is Mulberry (not sure type). My neighbor has 20' to 30' tall tree planted in his yard that has delicious berries on it every year. The street is stained black and sticky for a couple of months when the berries fall from the tree every year. He says he does nothing for the tree as far as watering, or fertilizing which is amazing. There have to be hundred(s) of pounds of berries every season (most too high to reach without climbing). Joel Bercardin wrote: S., thanks for posting that. I check in with Jeremy's channel about once a week... his knowledge, imagination and skills are pretty impressive, not to mention his dedication. I hope he's got his shop relocation worked out. P.S. Your last name being Tenorman, does "s." stand for Sax? I agree with all of what you said. Glad to see other people watch him too. I'm surprised how low his views are sometimes. Sax would be cool, but no it's not what it stands for. Just a simple common first name. Joel Bercardin wrote: I'm thinking of starting a thread on the theme of 'homemade gadgets'. I don't use the term "gadget" in a belittling way. 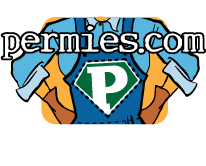 Permies.com is a "hands-on" bunch of people, doing most of everything themselves (DIY). Sure there are junky things for sale that are of little use or will soon break, but many a gadget — factory produced or homemade — can be helpful and a time saver... and without being costly, can just make tasks easier. I've come across a number of posts here about small-investment things you can buy that are useful. But there are some amazing, independent gadget designers and makers on our planet, a whole lot of them in what we call the Third World. I don't think I'm in their league, but I do sometimes make things that are useful to me. And maybe worth showing, since someone else could make them too (or improve on them). I want to take a few pictures. And I'm hoping to post in the Gear forum, but maybe also Homesteading and elsewhere. Not sure if anyone else here watches this guy's channel, but he is super clever/handy at making things from scrap washing machines, treadmills, etc. Here's a video of his homemade (mostly from wood) band saw using a scrapped treadmill motor. He shows it ripping a 7" section of maple, and 1/2" section of steel plate. He also has a lot of clever work space videos, electric motor wiring, and how to make wooden gears. Super easy to listen to, and well edited videos. Thanks again to everyone! I love the pansies with the dark centers! Perfect. Thanks Nicole. 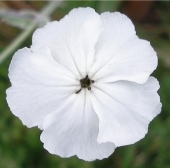 and the Rose Campion is also really nice. I like the density of them in that second picture. Thanks Joylynn. the grass seems like it could be a good idea, and I think Lavender would be really nice too, thank you Lindsey! I was lucky to have her. Dee, I just tried the link, but it's broken. I'll figure it out and take a look. I have a crazy growing white banks rose that has the trunk of a medium sized tree in another area of the yard, and it's my favourite plant in the yard. Amazing growth here (in full sun) in four years since I planted it as a twig. Thanks for the suggestion. Lucrecia, who doesn't love butterflies! Thank you, if I can find them I'll give them a try. I went to the local nursery after the first group of replies, and did end up buying some creeping rosemary (mainly because it was 50% off, $2 for a decent size plant in a 1 gallon pot). There were a lot of varieties of the day lilies, but they didn't have the Pandora's Box type (all the varieties they had were orange or red). I want to try all of your suggestions, and see what "sticks". There's a mom and pop kind of nursery thirty miles away that I haven't gone to in a while, but they definitely have a better selection of plants (and are much more knowledgeable in general than the local chain nursery I went to already). If I can't find them there, I will go the mail order route. I'm anxious to get started trying them out. Pippen and I super appreciate all the words! :) Thanks!